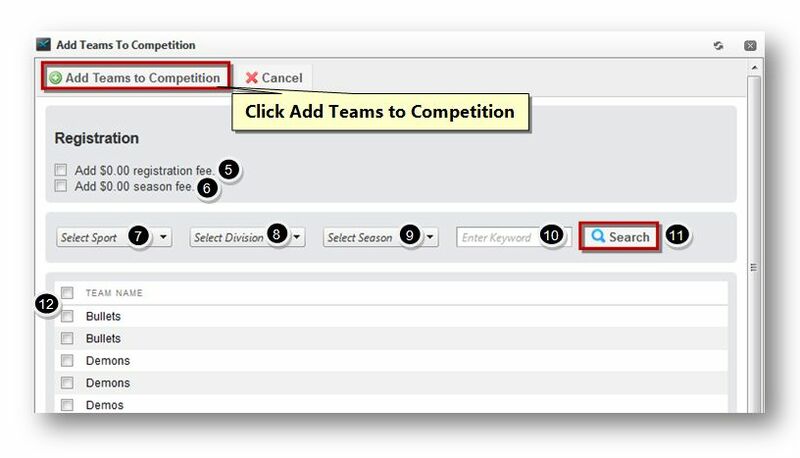 To manage teams in competition, follow the steps given below. 3. Select the Manage Teams In Completion option from the Tool drop down list. The Manage Teams In Completion dialog will be displayed. 4. You can add a team to a competition. Click the Add Teams to Competition button. 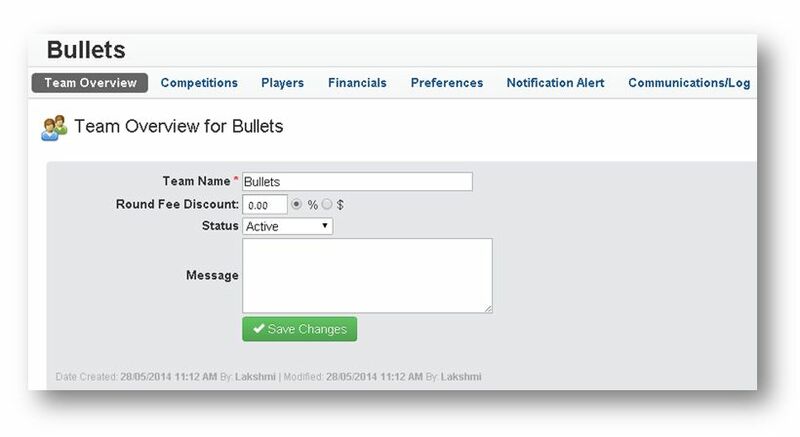 The Add Teams to Competition dialog will be displayed. 5. Specify whether the registration fee is required to be added or not by checking or un-checking the Add Registration Fee option. 6. 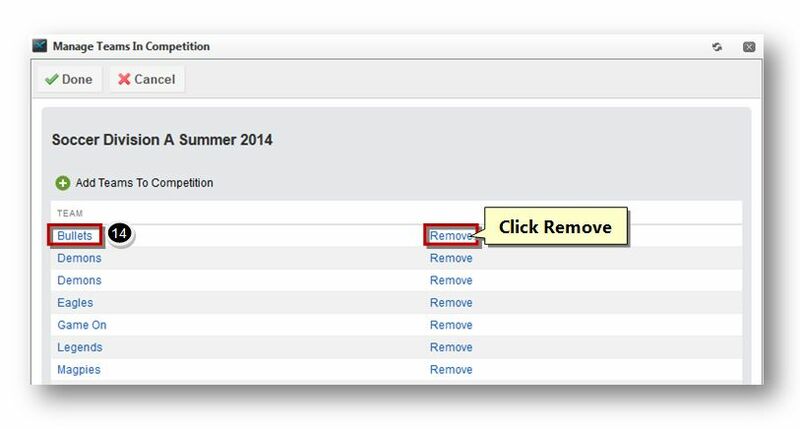 Specify whether the season fee is required to be added or not by checking or un-checking the Add Season Fee option. 7. Select the name of the sport with which the team is associated, from the Sport drop down list. 8. Select the name of the division from the Division drop down list. 9. Select the name of the season from the Season drop down list. 10. Enter the name of the team in the Keyword field. 12. Check the boxes in the row of the teams that you wish to select. 13. Click the Add Teams to Competition button. The selected teams will be added to the competition. 14. To edit and manage the details of the team, click the name link of the team. The details of the selected team will be displayed. 15. You can also remove the team by clicking the Remove button. 16. 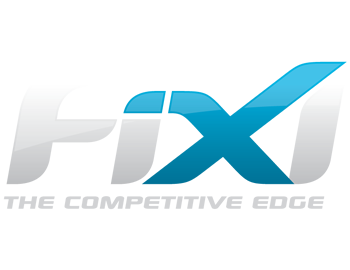 Click the Done button to save the changes made to the competition.